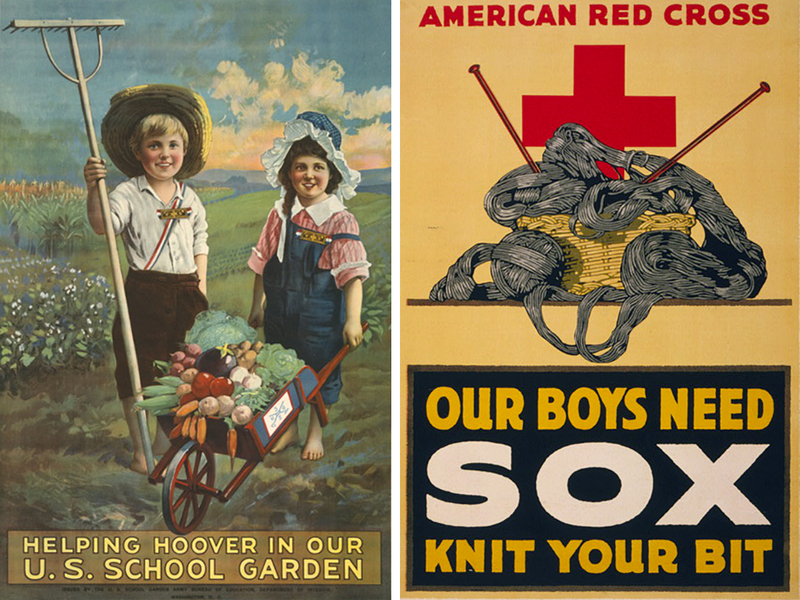 Left: World War I poster for the U.S. School Garden Army, an initiative by the Bureau of Education (with support from Food Administrator Herbert Hoover) encouraging children to garden. Right: Red Cross poster urging household production of supplies for soldiers. Both posters are chromolithographs published by American Lithographic Co., c. 1917–19. Images from Library of Congress. Lieutenant G. P. Cather (since killed in action.) — With splendid courage and coolness he mounted the parapet of a trench and directed a destructive flanking fire from two automatic rifle teams exposed to seven German machine guns. When she went home to Red Cloud the summer after G. P.’s death, Cather read the letters he had sent from the front to his mother, and over the next three years she was preoccupied writing a novel featuring a war hero inspired by her cousin. That novel, One of Ours, was published in 1922 and went on to win the Pulitzer Prize. 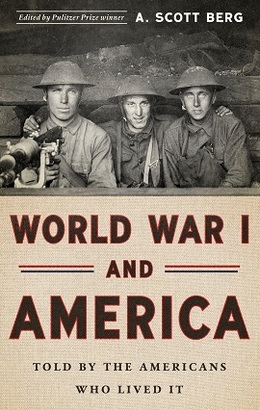 While she was at work on the novel, Cather also wrote “Roll Call on the Prairies” for The Red Cross Magazine, recalling her visit to Red Cloud in the summer of 1918 and offering her light-hearted yet respectful impressions of the patriotic war activities of Nebraskans, many of whom had sons and brothers fighting—and dying—in Europe. Notes: The first sale of Liberty Bonds (referred to Cather as the first Liberty Loan) began on April 28, 1917, with an offering of $2 billion of bonds with a 3.5 percent rate of return. Bonds were sold in denominations ranging from $50 to $10,000, and the sale of “War Thrift Stamps” made it possible to purchase $50 bonds on the installment plan. There were more than four million subscribers to the loan. Herbert Hoover served as U.S. Food Administrator, 1917–19, and issued the directives regarding food distribution and conservation playfully mocked by Cather in her article. The Women’s Committee of the Council for National Defense was created in April 1917 by President Woodrow Wilson with the suffragist leader Anna Howard Shaw as its chair to help coordinate the domestic war effort. No one remembers now that the “fighting spirit” of the West was ever questioned; but at the time the United States entered the war, people along the Atlantic seaboard felt concern as to how the Middle West and the prairie states would respond. . . . If you don't see the full selection below, click here (PDF) or click here (Google Docs) to read it—free! Unlikely that displaced refugees really wouldn't be able to handle a change in the design of their underwear. Snaps, zippers, and elastic, however, were strategic military resources. Buttons were not. Cynicism can be appropriate, but as an all-purpose attitude, at-the-ready, it's a killer. What I am calling cynicism another might call healthy skepticism, alertness, & I'm for that; however, there is hubris in patronizing a writer like Willa Cather with such a wave of the hand. I am open to believing that just as she moved me as a reader, she was moved, & that those women sewing buttonholes were told what Cather tells us they were told, & believed it, & weren't harmed in their altruistic work by a patriotic fiction that had wended its way to the prairie. I know it is an everlasting social challenge to balance the communal welfare & the truth, & I wouldn't want to build a broader argument out of being nourished as a reader by this "propaganda" for the Red Cross from a hundred years ago. Only, & especially in 2018, I feel prodded to stand up for more largeness of heart.